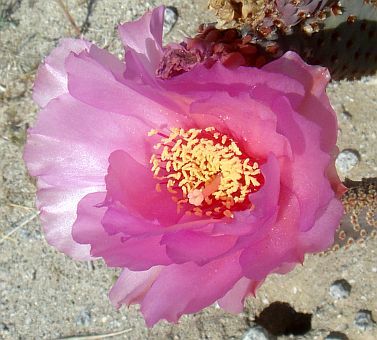 This page does not contain all the species in the Borrego Desert! 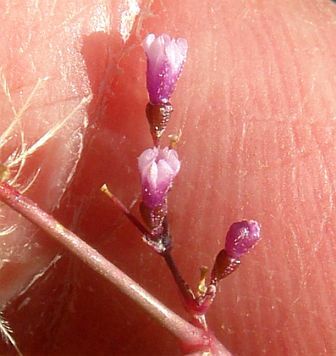 It only gives photographs of most of the species I have seen in bloom since Fall 2009. 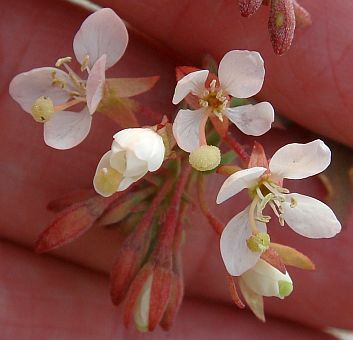 This page will be updated periodically as I update the 2010-2011 Blooms page. 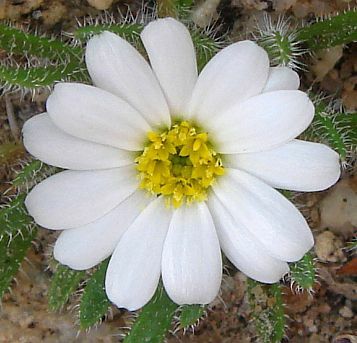 As of 9 November 2011, there are 208 taxa on this page. 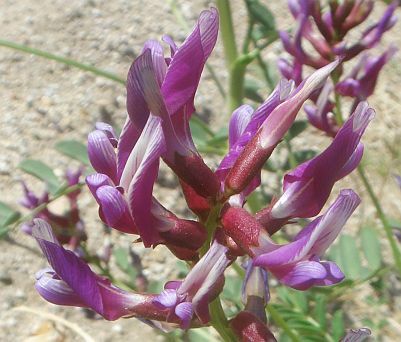 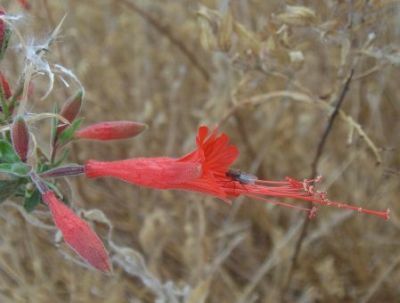 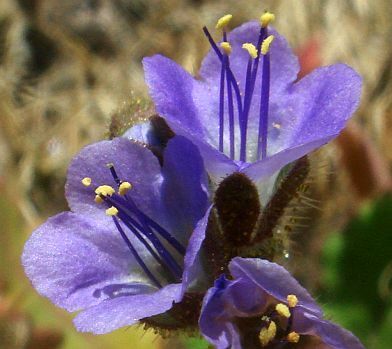 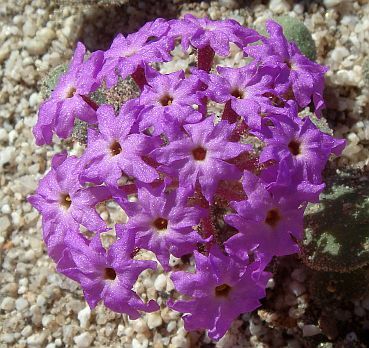 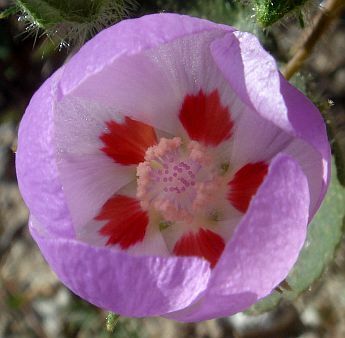 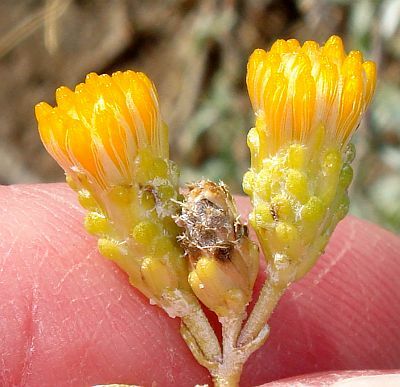 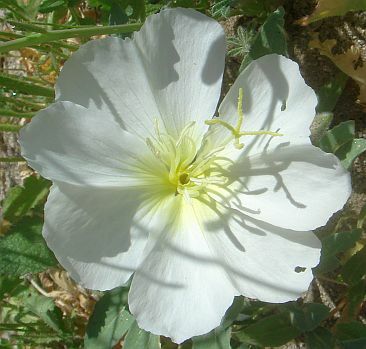 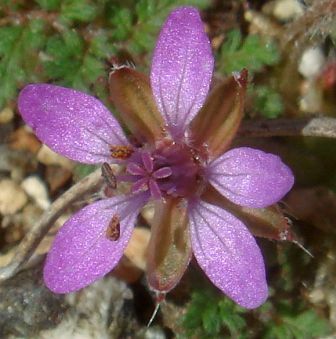 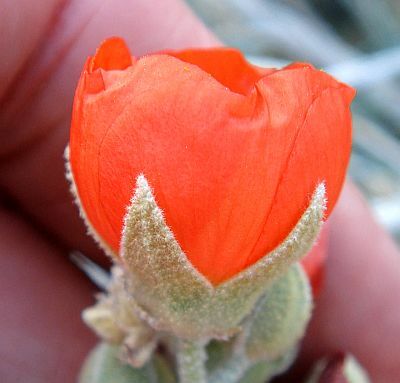 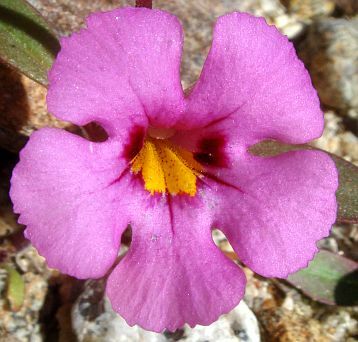 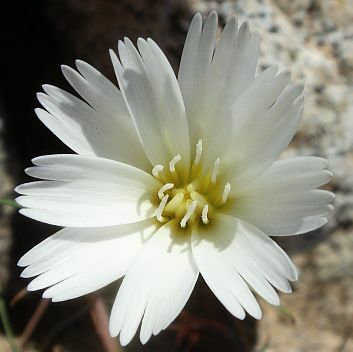 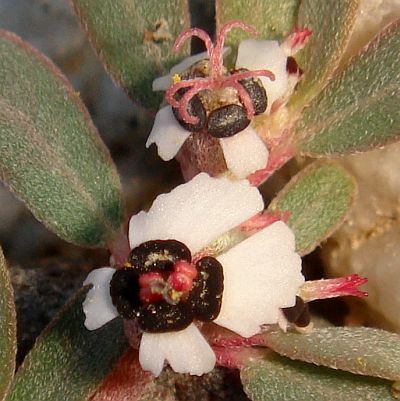 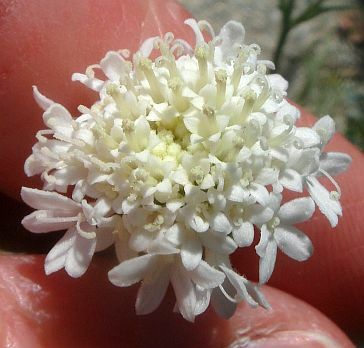 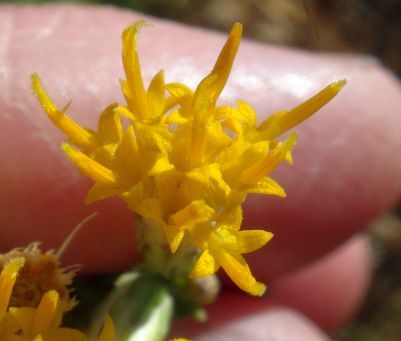 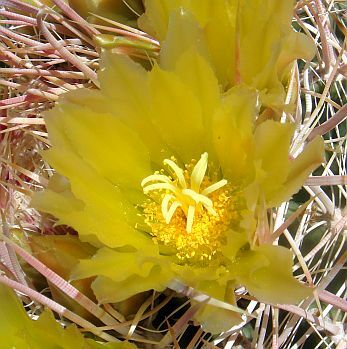 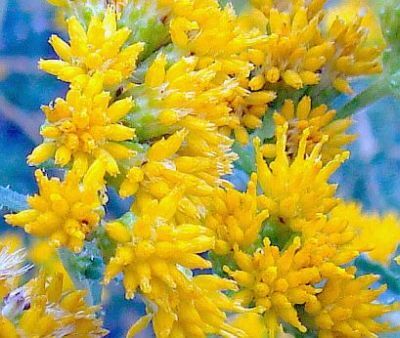 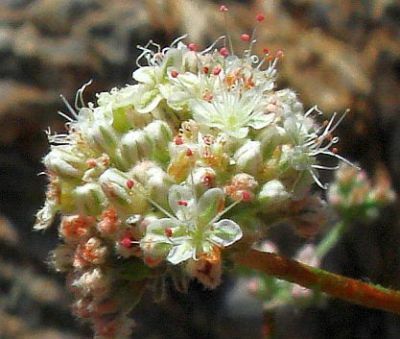 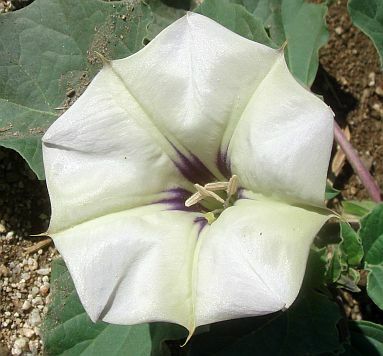 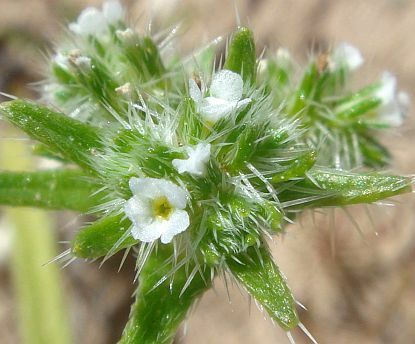 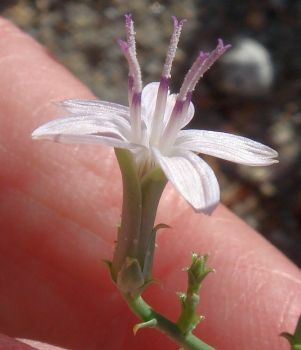 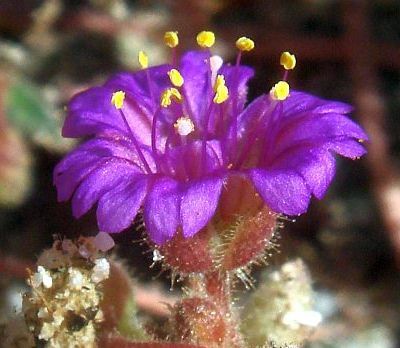 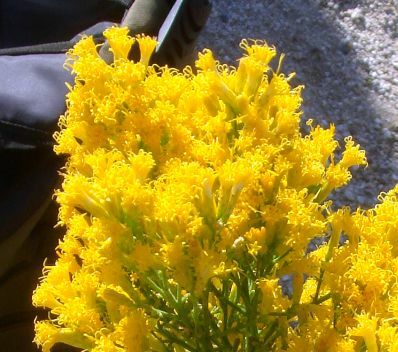 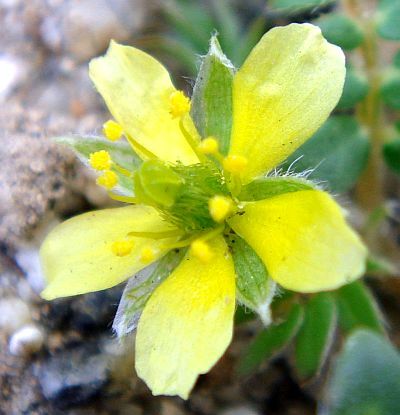 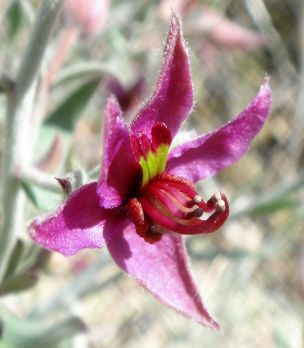 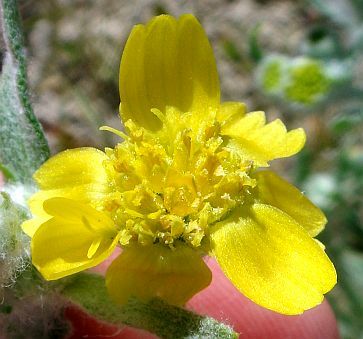 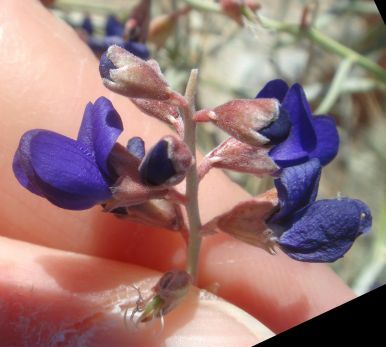 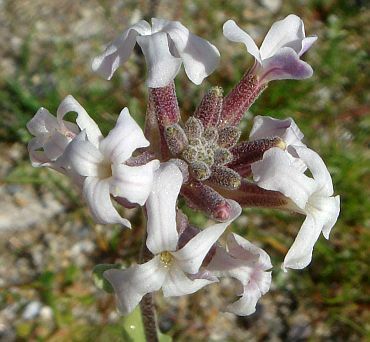 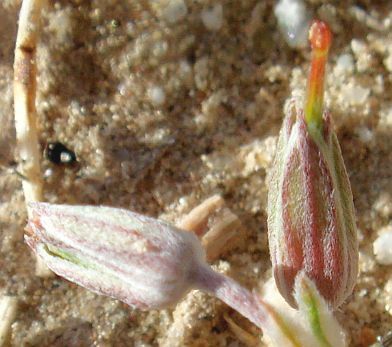 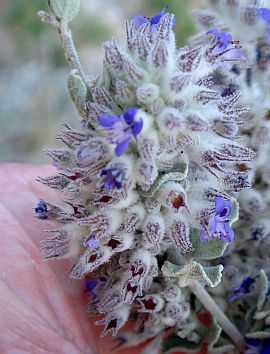 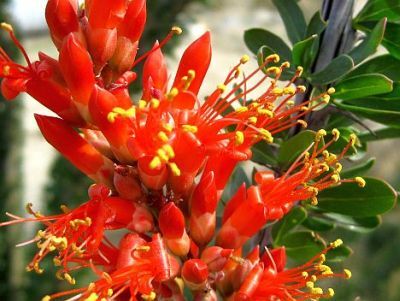 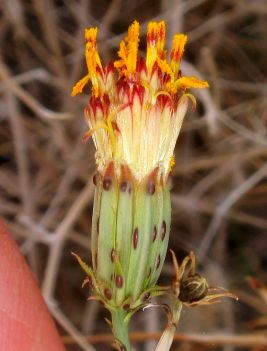 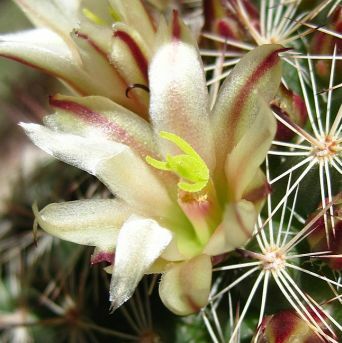 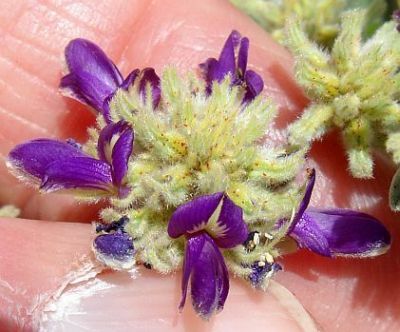 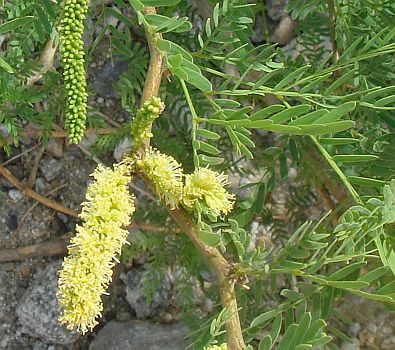 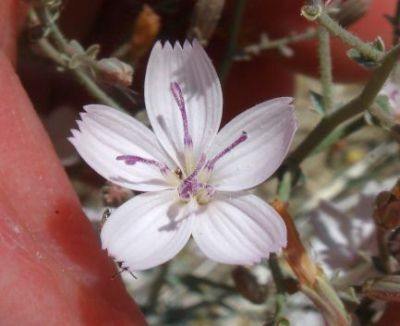 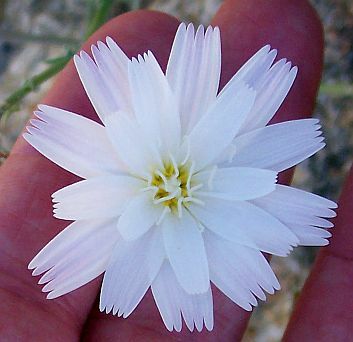 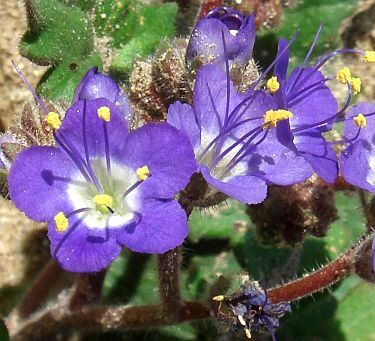 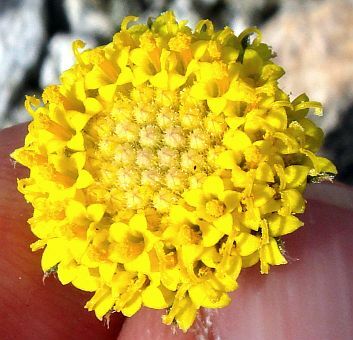 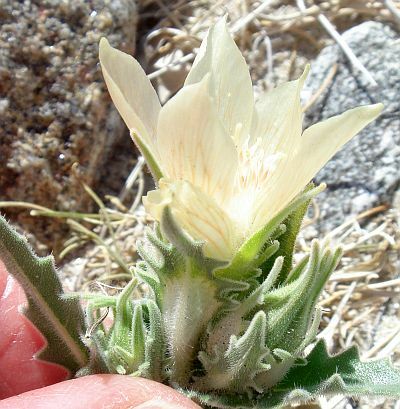 This page is primarily for non-botanists who want to try to identify some of the flowers they have seen in the Borrego Desert by matching pictures of a flower as seen from its front. 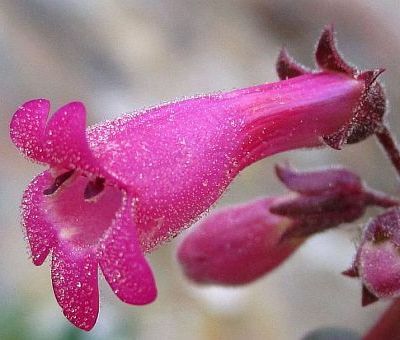 This will work for ~80% of the species here, but it will fail for the other 20%, since they have look-alike species that are distinguished by traits other than the flowers themselves. 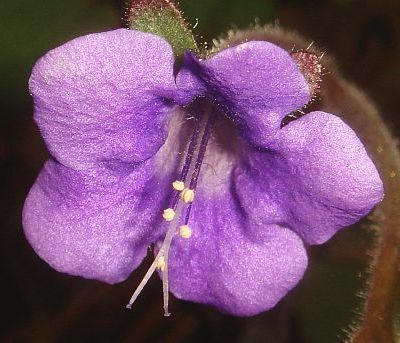 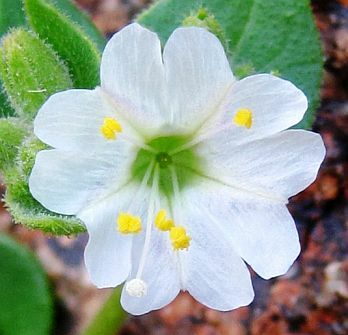 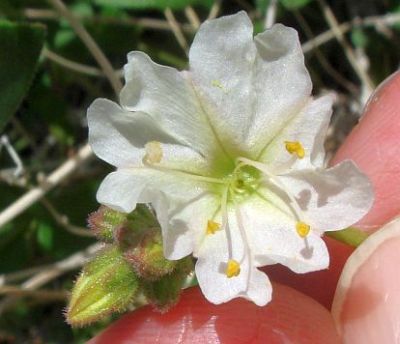 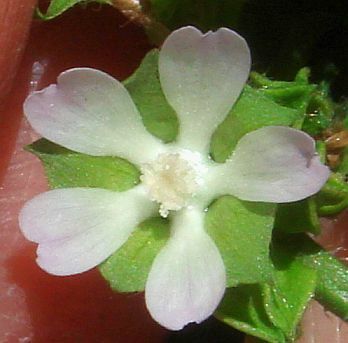 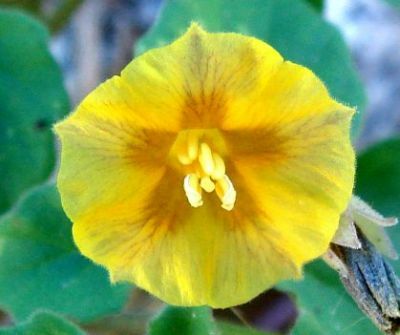 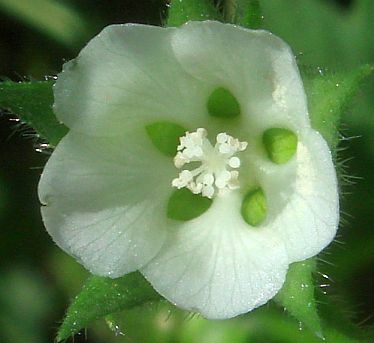 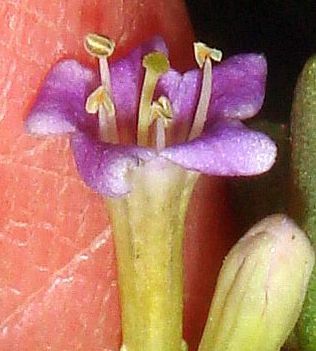 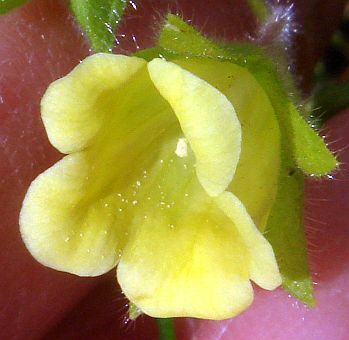 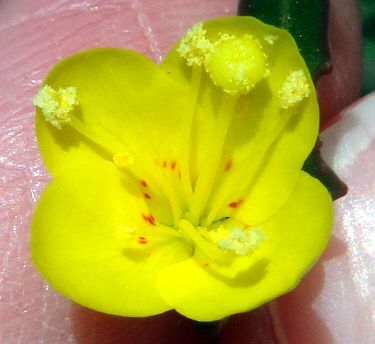 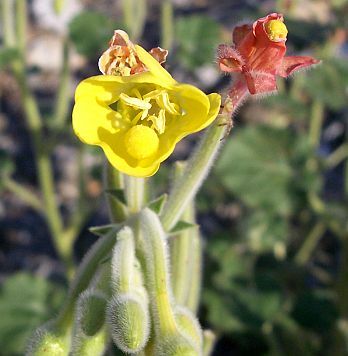 For example, Mirabilis bigelovii and M. tenuiloba have nearly-identical flowers as seen from their front, but can be distinguished by the shape of their calyx lobes in pictures showing a side view of the flowers. 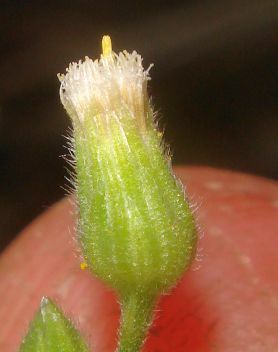 Note the location where the picture was taken. 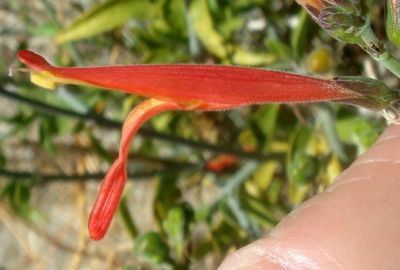 The location alone often narrows down the possible number of species greatly, eliminating some possible look-alike species. 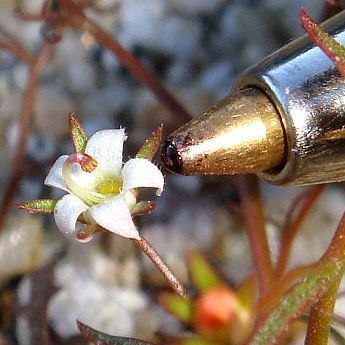 A location should be as specific as possible. 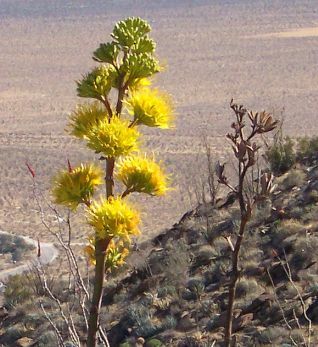 Southern California is better than just noting California, but it is not nearly as good as noting Borrego Palm Canyon, on the Alternate Trail about halfway down. 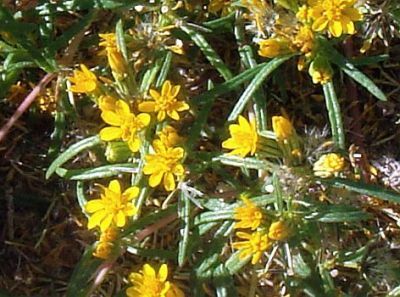 Notes on the habitat of the species (in water, shady north-facing slope, dry ridgetop, etc. 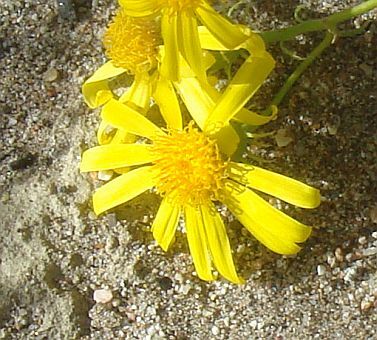 ), and the date you took the photo, are also helpful. 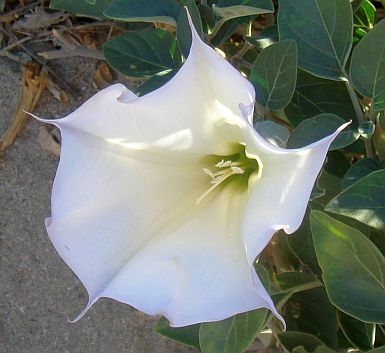 Of course, GPS coordinates are ideal. 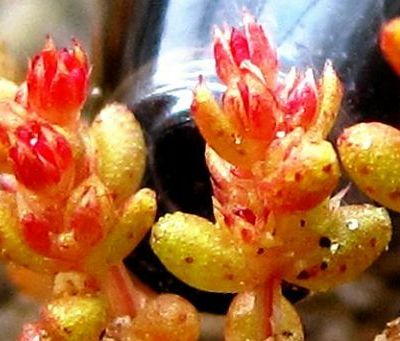 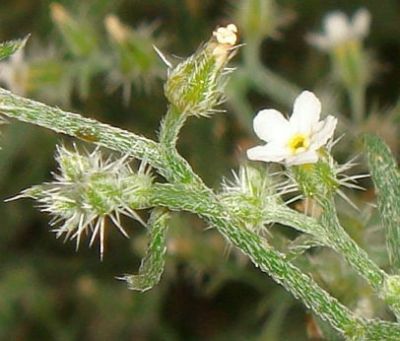 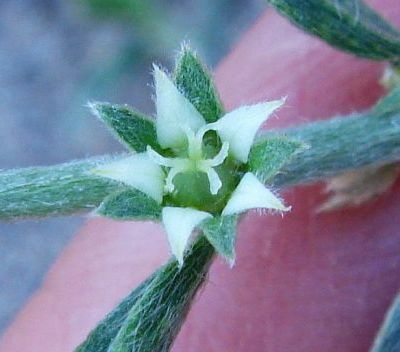 Take pictures of the entire plant to show it in the context of its surroundings. 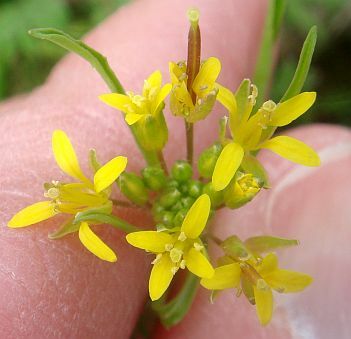 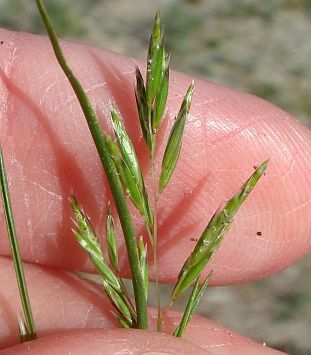 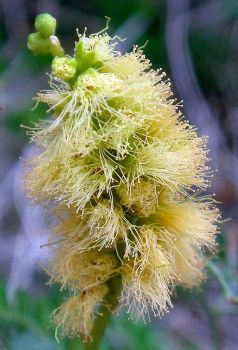 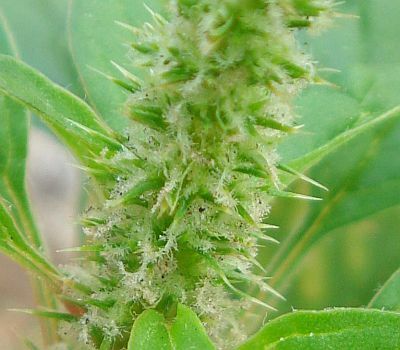 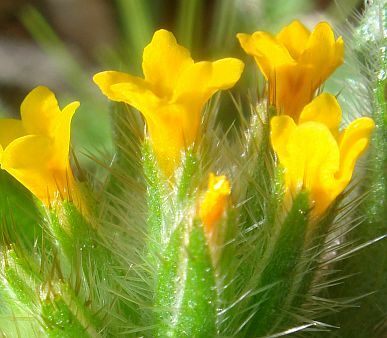 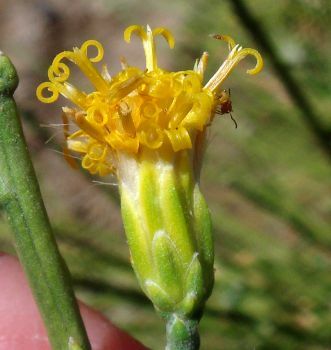 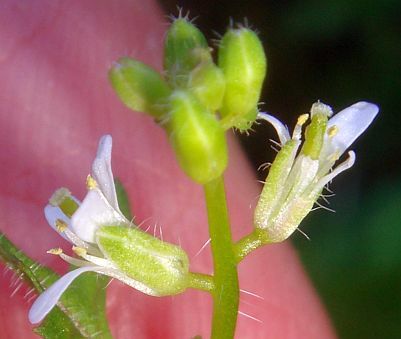 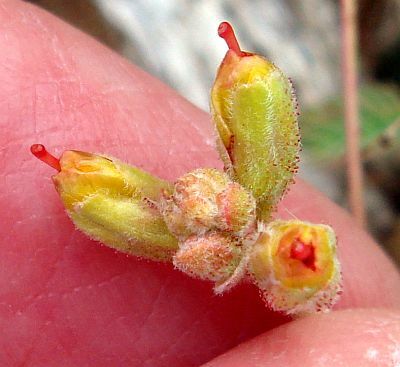 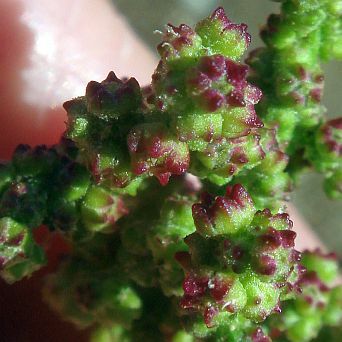 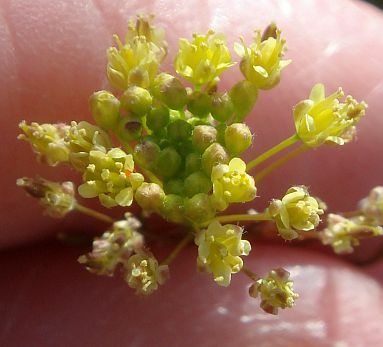 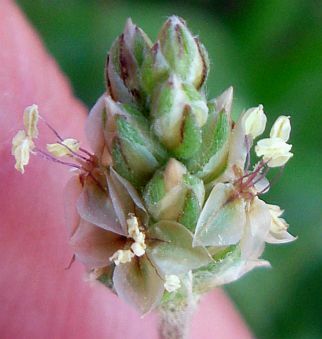 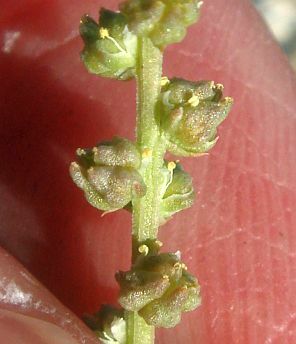 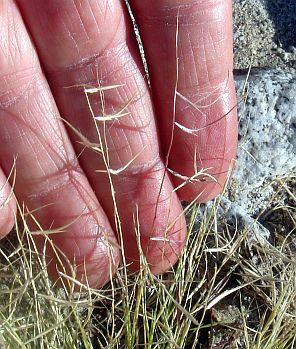 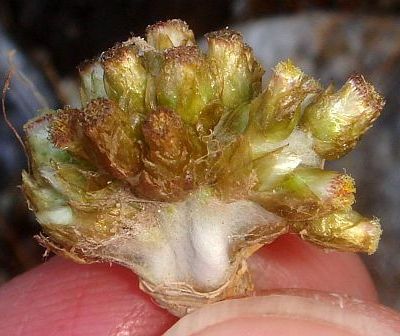 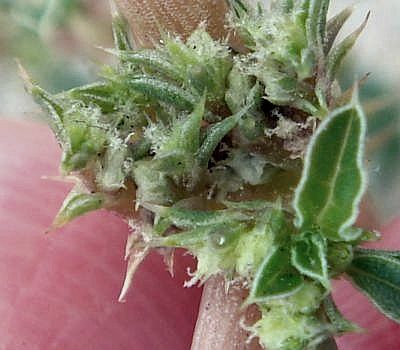 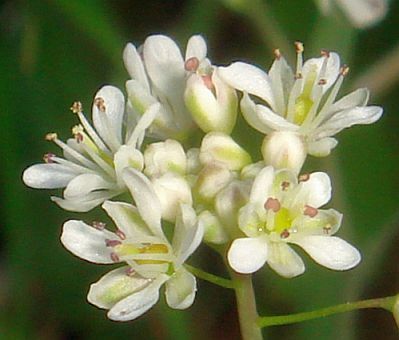 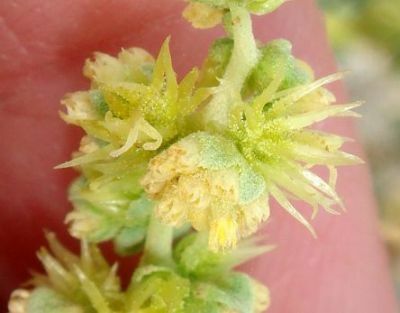 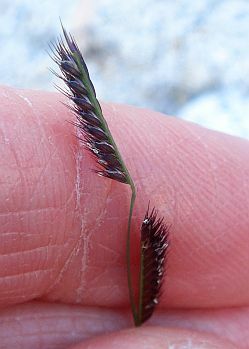 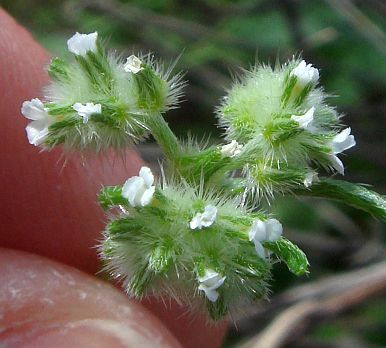 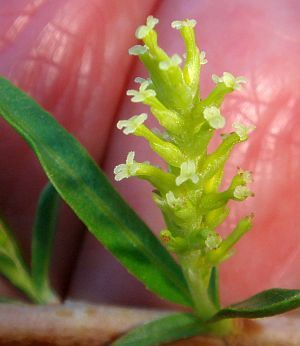 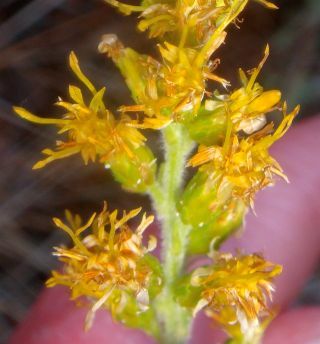 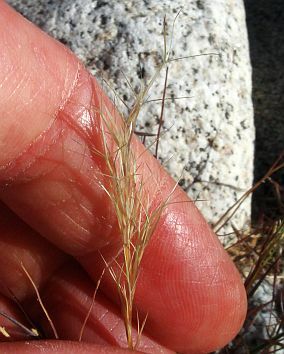 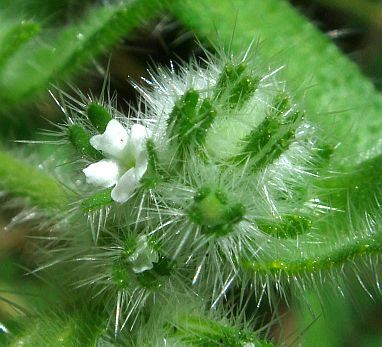 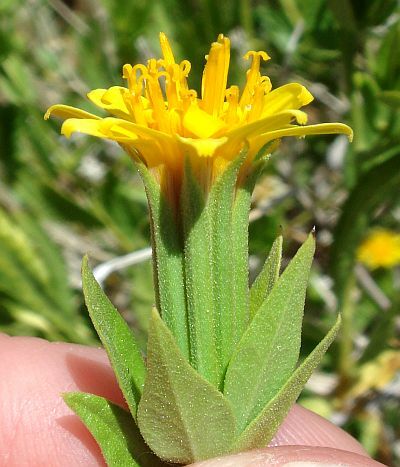 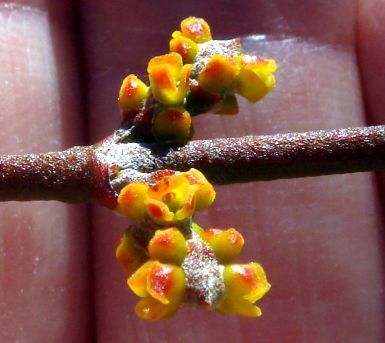 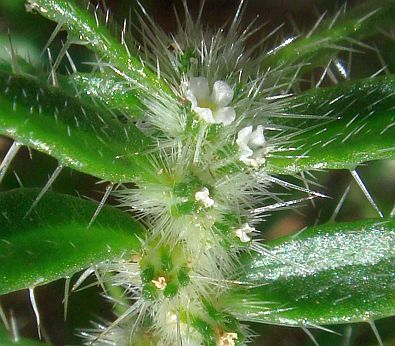 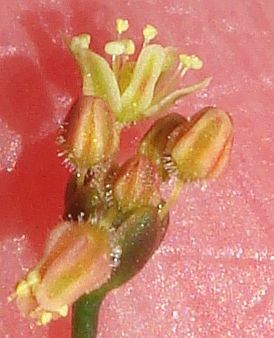 Take pictures of the base of the plant, and close-ups of the stem, leaves, and inflorescence. 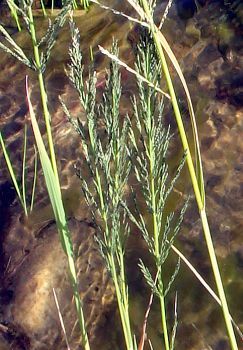 Many species are distinguished by properties of one of those characteristics. 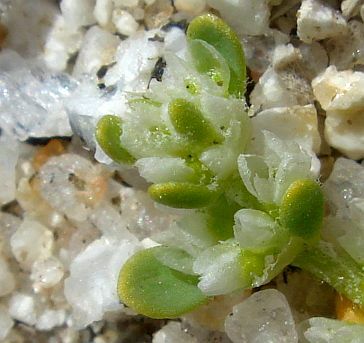 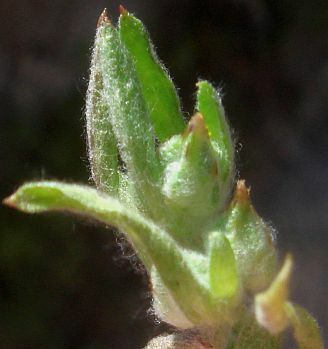 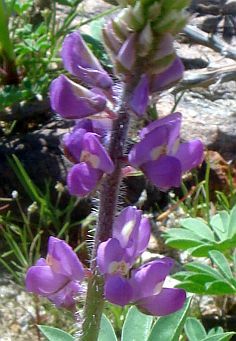 For example, the first branch of the lupine key for annuals is on whether the cotyledons are sessile or not, which can be easily determined by how the stem grows at the base of the lupine. 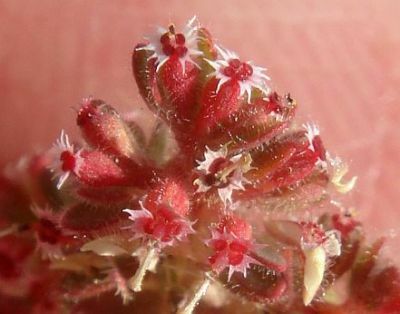 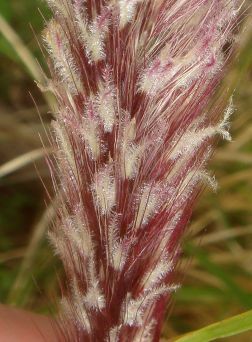 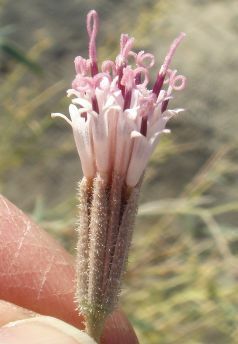 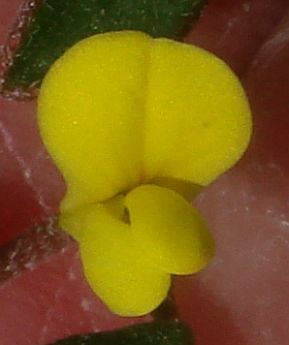 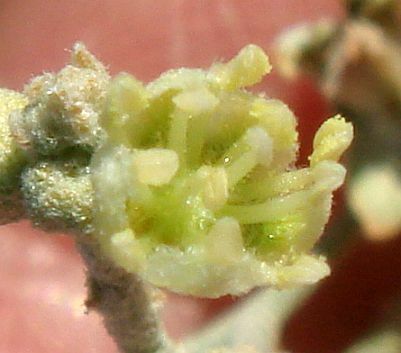 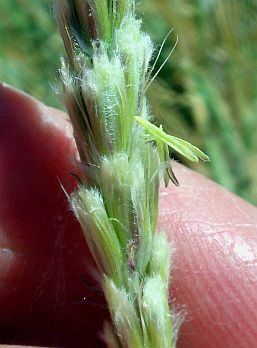 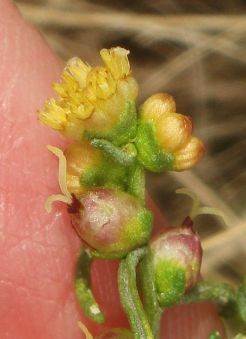 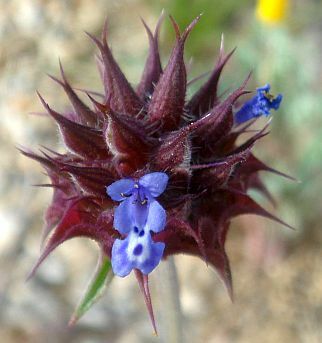 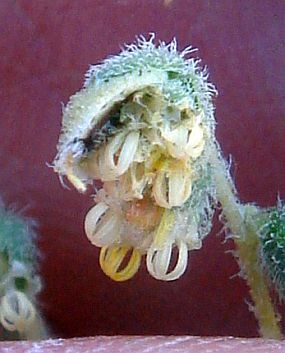 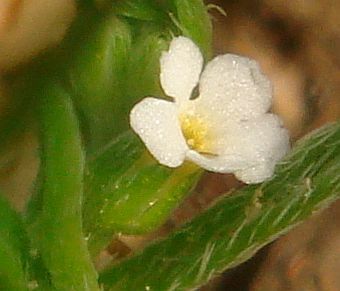 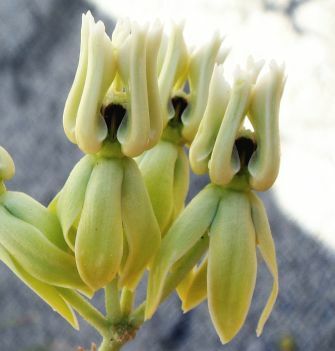 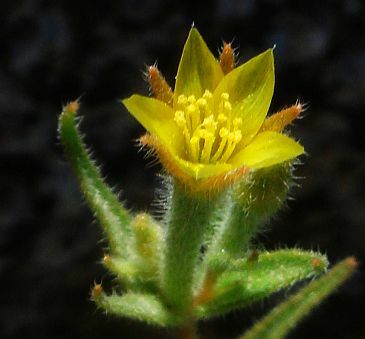 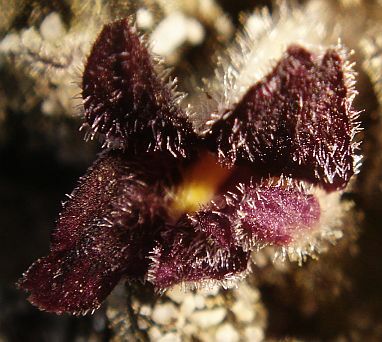 Take pictures of the flower from the back and side, showing the calyx, if one exists, or showing the absence of a calyx. 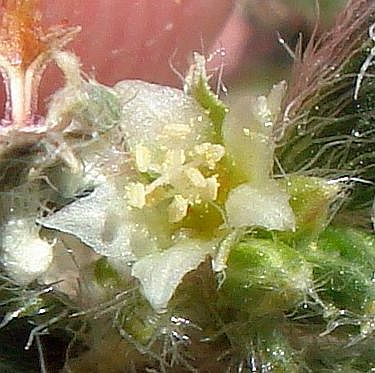 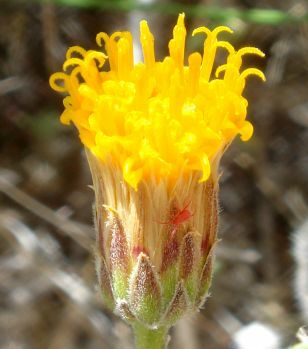 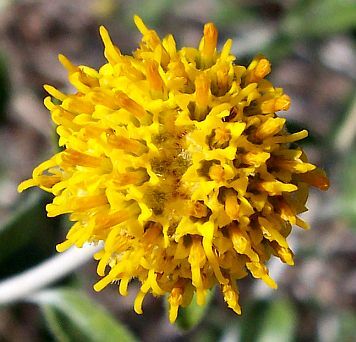 It is especially important to photograph any Asteraceae flower from the side, since properties of its involucre are often critical to the identification. 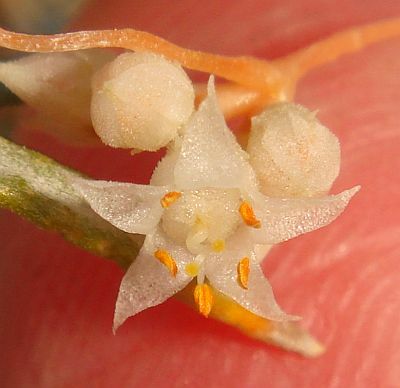 Take pictures of any fruit that exists. 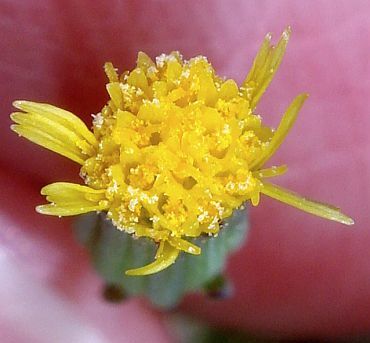 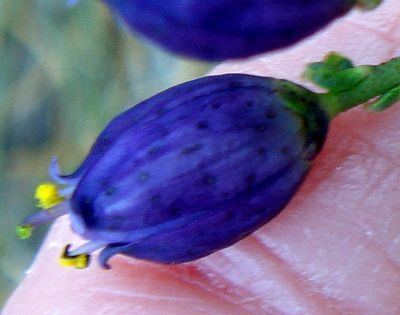 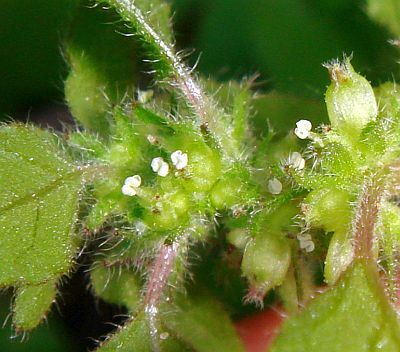 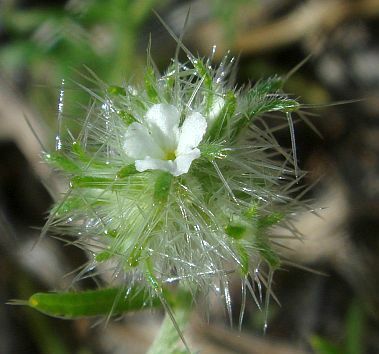 Many Brassicaceae are distinguished only by the fruit, and the pappus or scales on Asteraceae fruit are also often critical to their identification. 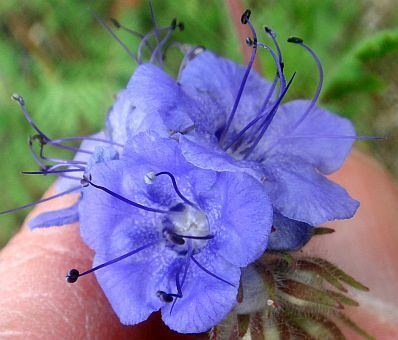 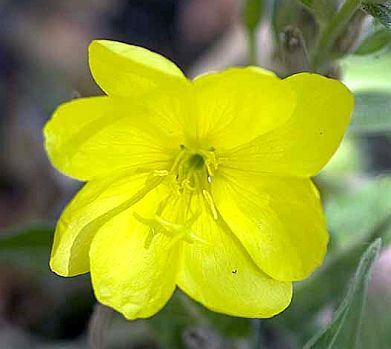 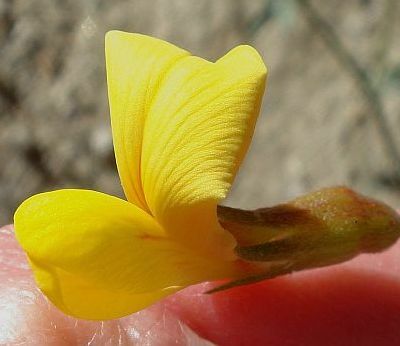 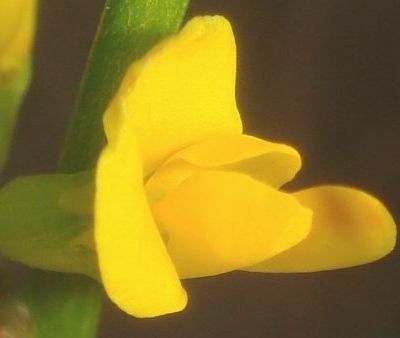 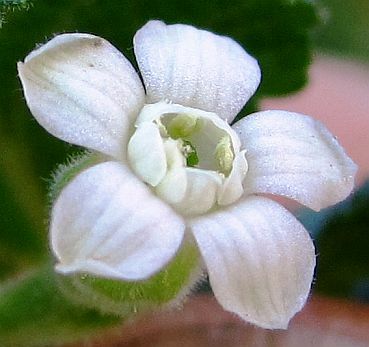 Again, if you have only a picture of the flower from the front in a close-up, and you don't have a very specific location, you only have about an 80% chance of being able to get the correct determination. 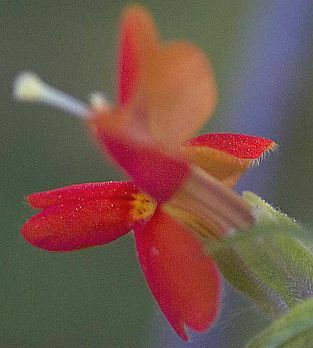 Since this page is primarily for photographers who typically only photograph the front of the flower, and I'm limited to a single picture here, most pictures are of the flowers as seen from the front, even when that view does not discriminate between look-alike species. 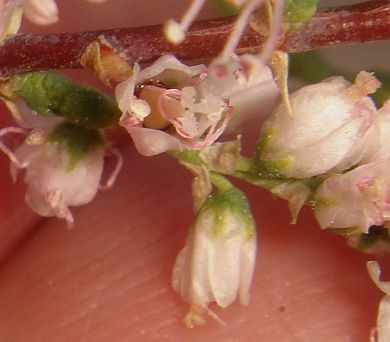 However, some flowers are photographed from the side, especially when the individual flowers are small, and when I forget to take a picture of the flower from the front in those cases when that view is not useful for identification. 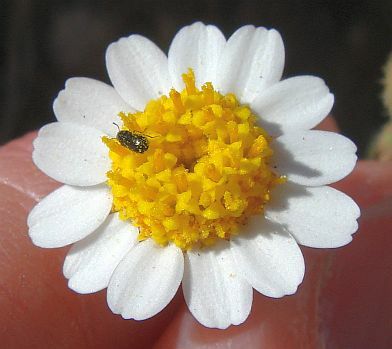 I will add full pages on each species or group of look-alike species in the future, giving a complete set of pictures for each species, showing especially the characteristics needed for identification. 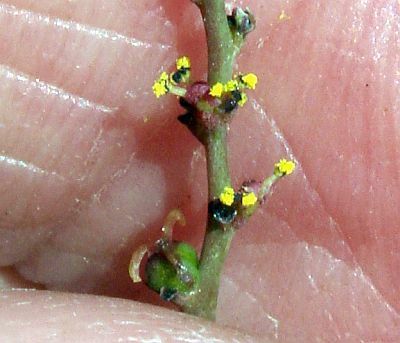 Also due to the limitation of having only one picture per species, I only show the dominant color version of each species. 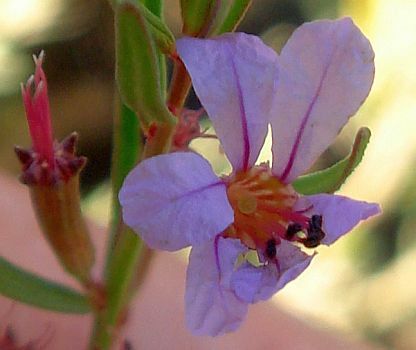 For example, some flowers of Mirabilis bigelovii are pink, instead of the usual white. 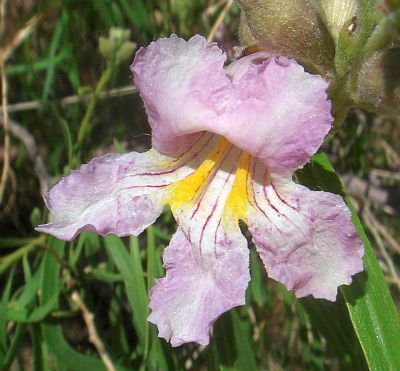 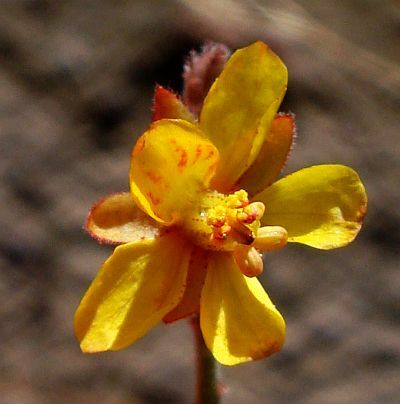 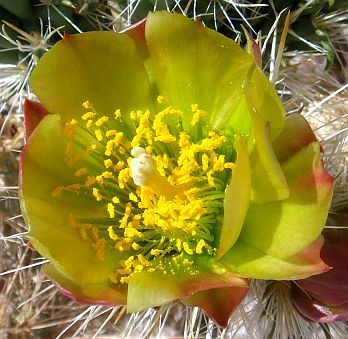 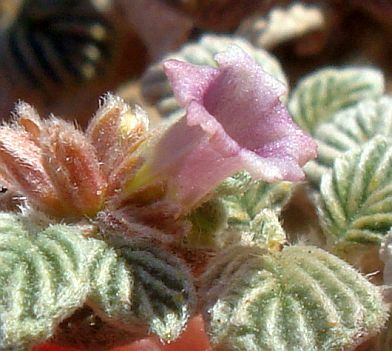 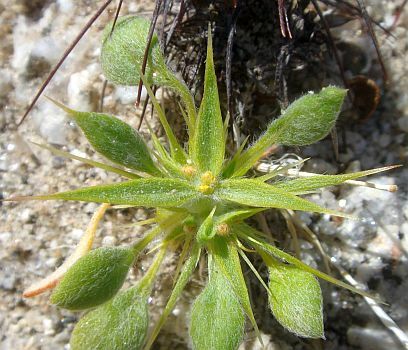 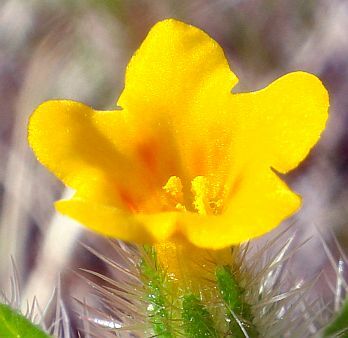 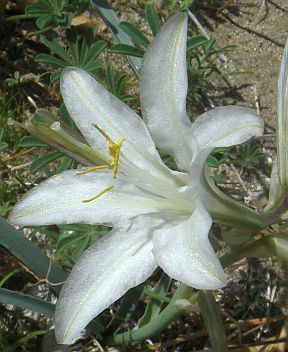 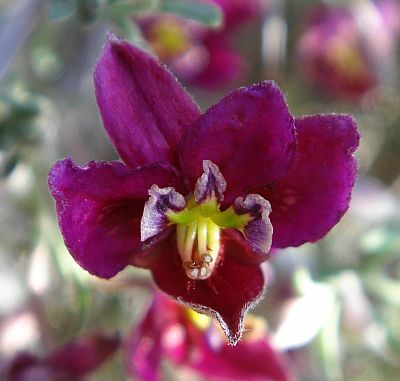 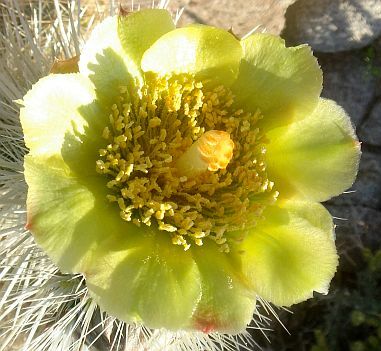 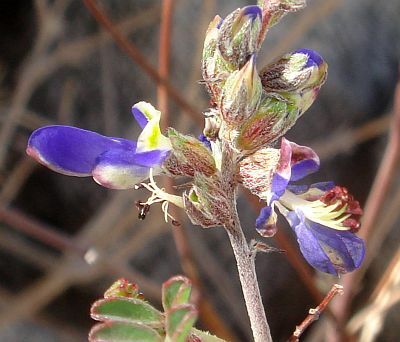 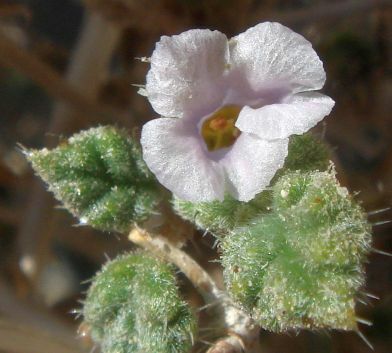 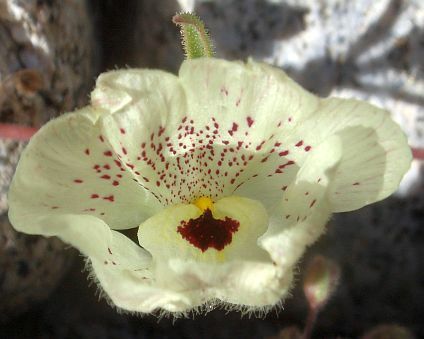 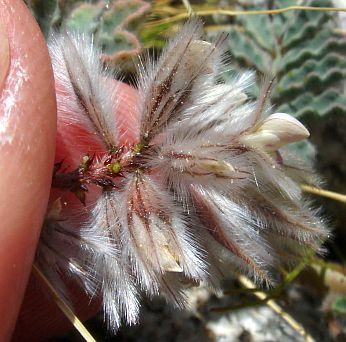 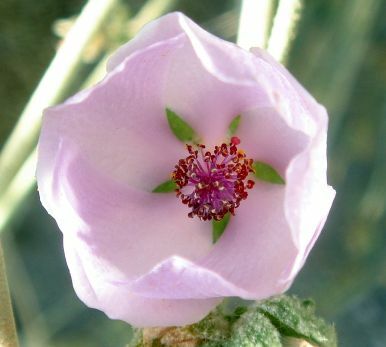 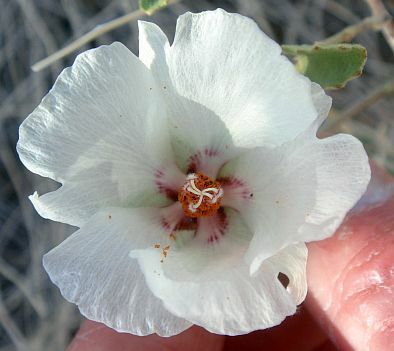 See Plant Species of the Borrego Desert for those species that have pages devoted to them. 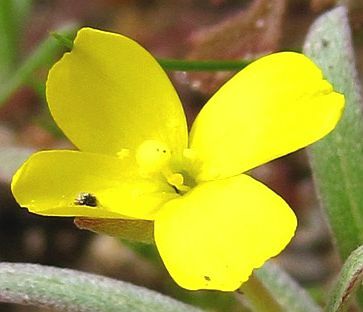 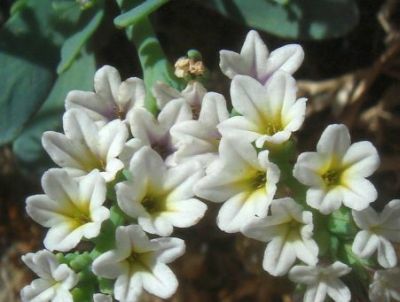 The flower color here is defined primarily by the color of the petals (corolla), or any petal-like parts, such as the gland appendages for Chamaesyce. 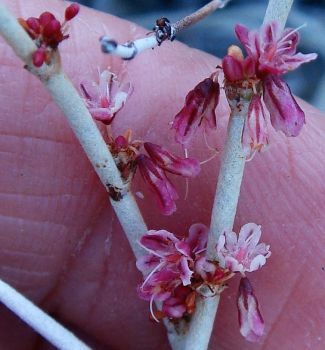 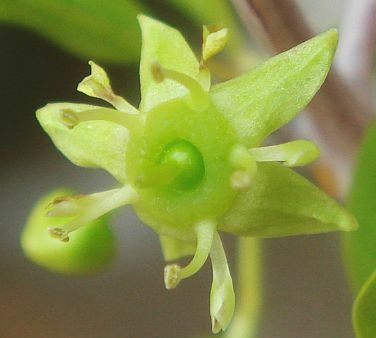 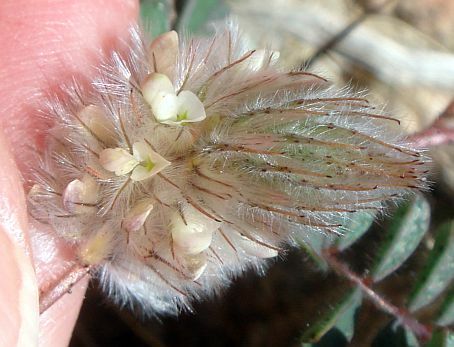 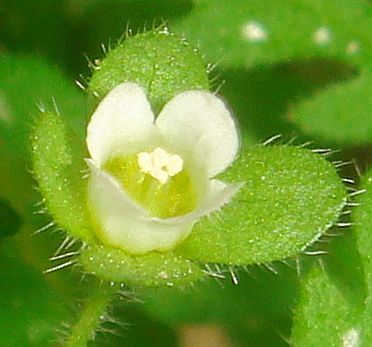 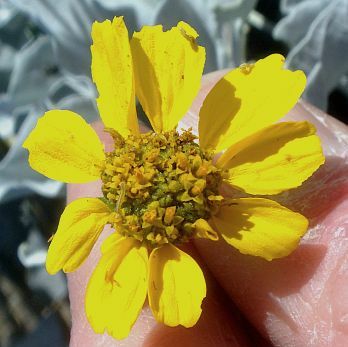 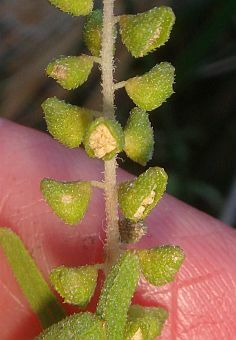 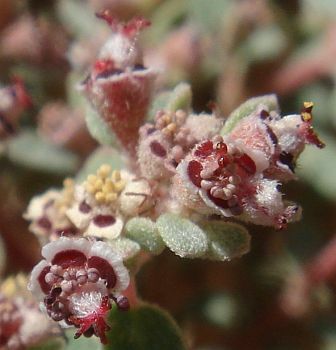 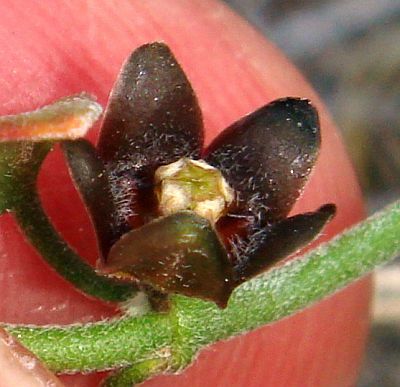 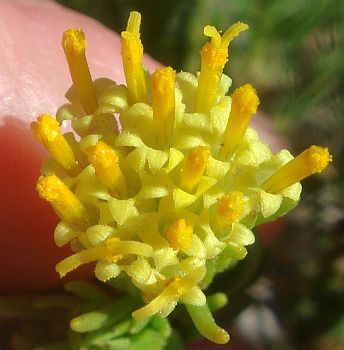 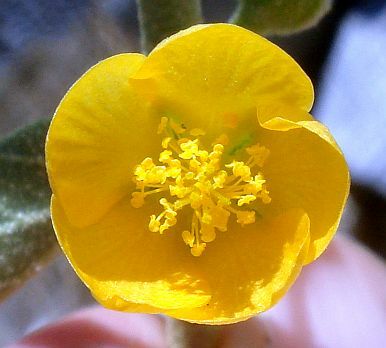 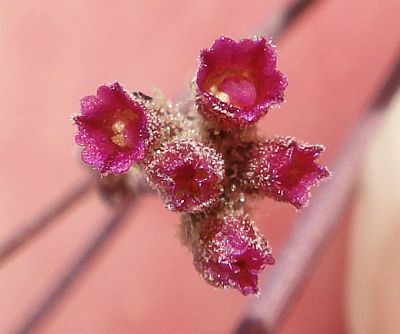 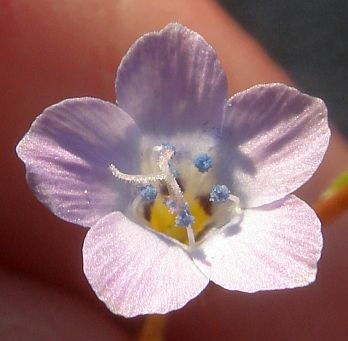 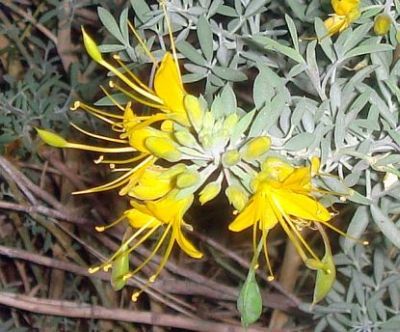 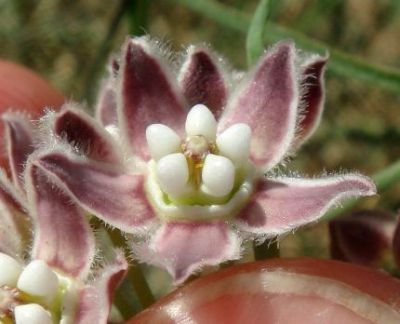 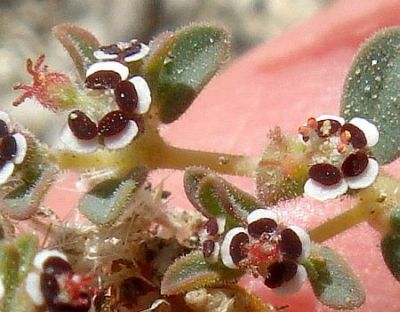 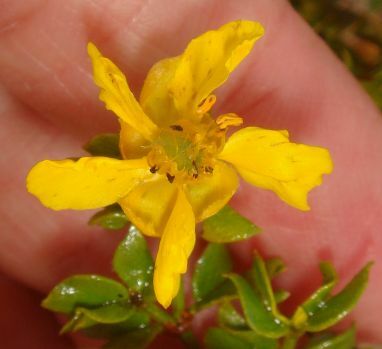 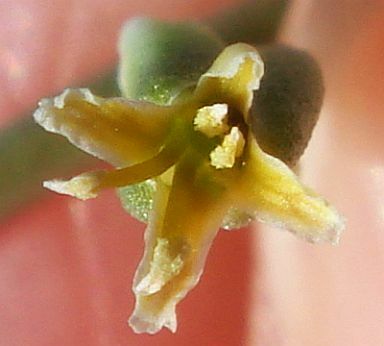 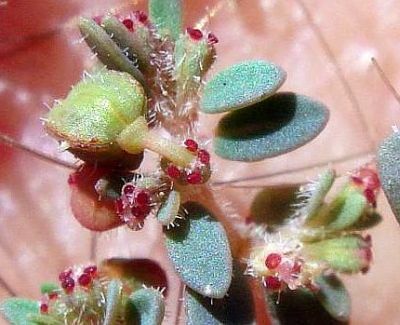 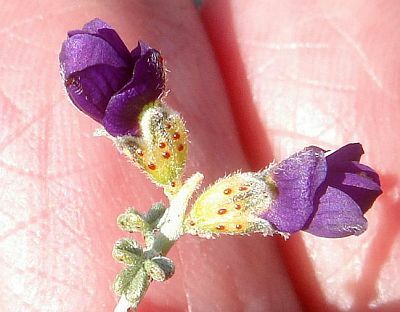 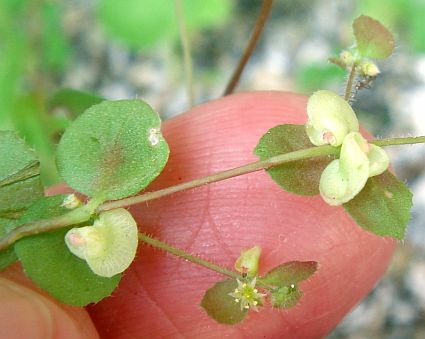 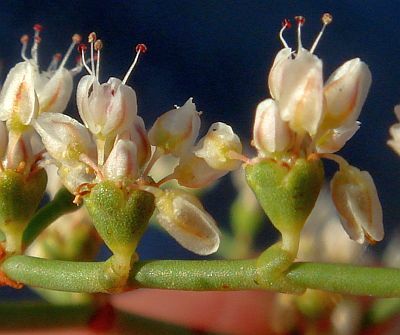 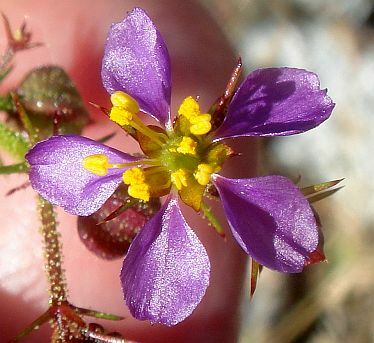 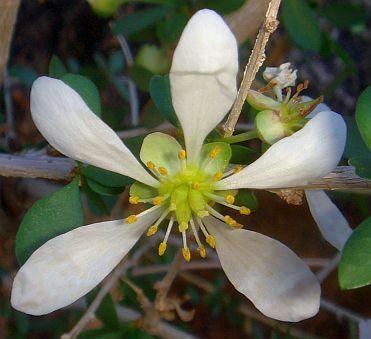 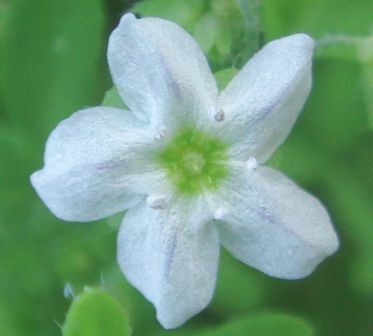 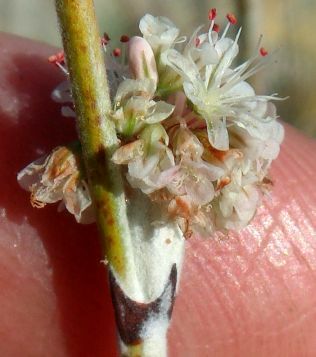 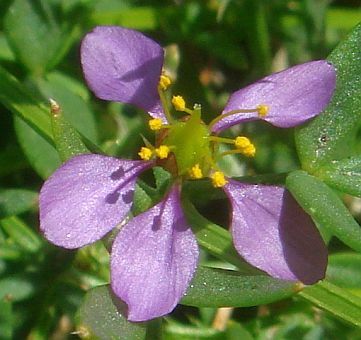 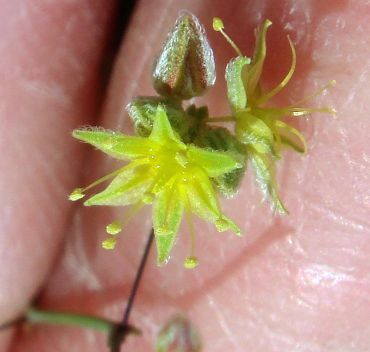 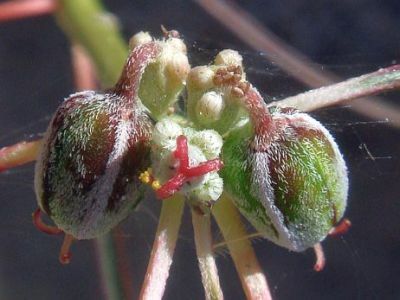 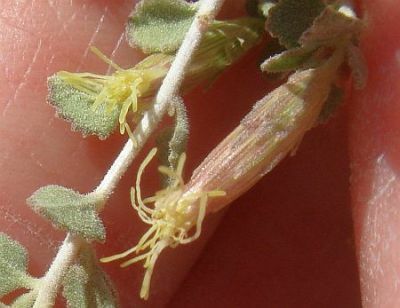 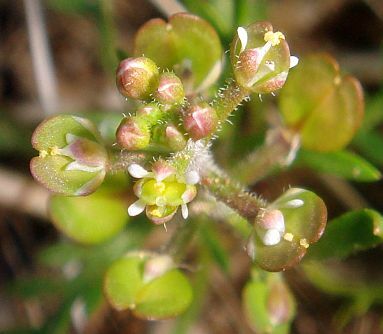 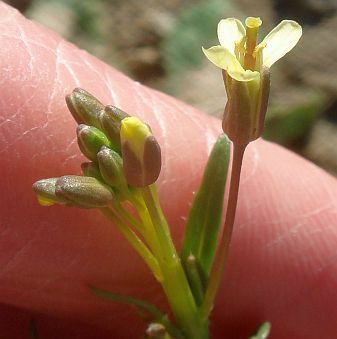 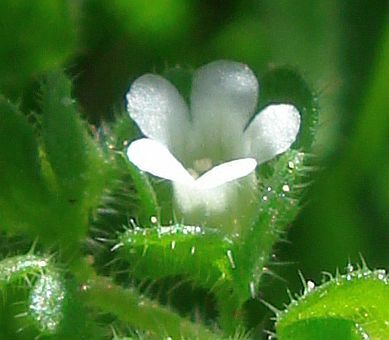 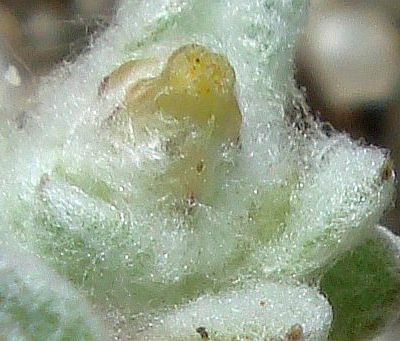 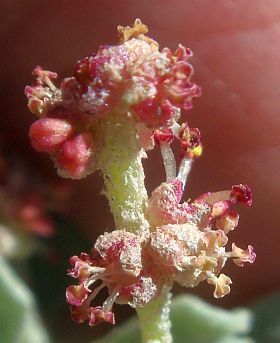 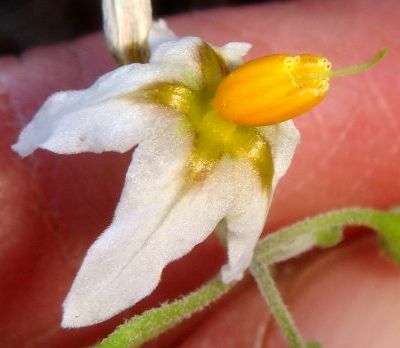 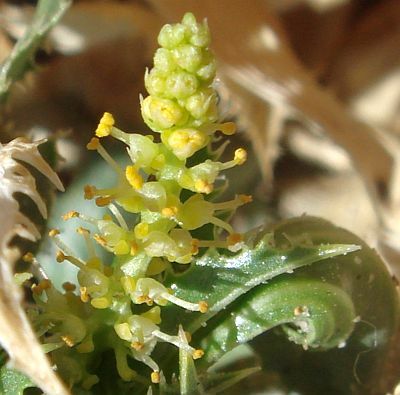 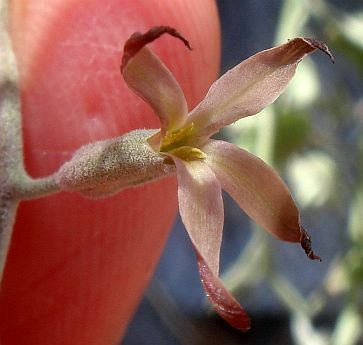 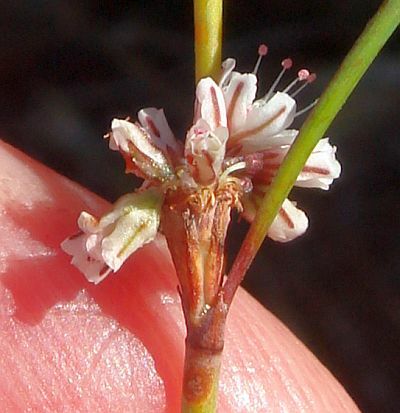 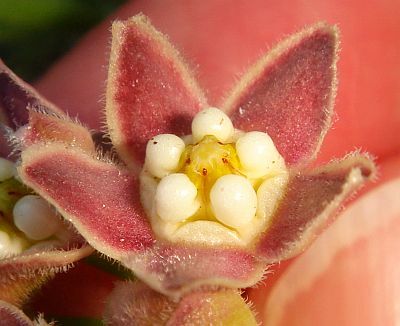 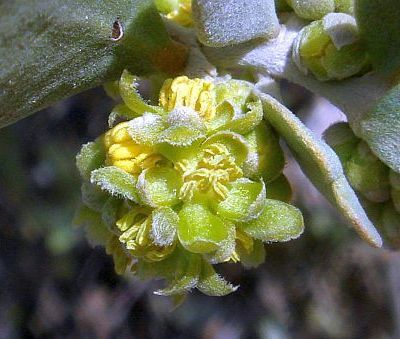 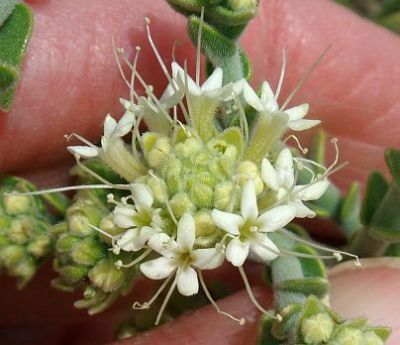 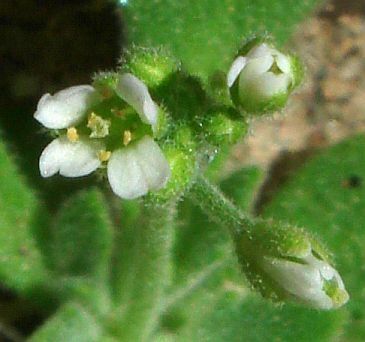 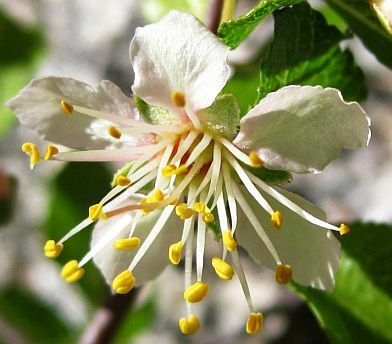 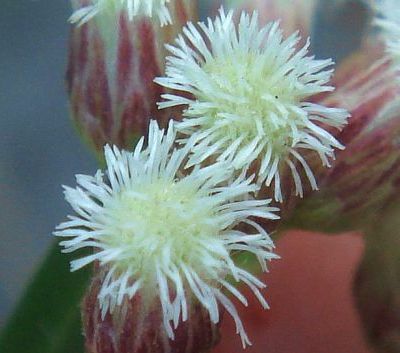 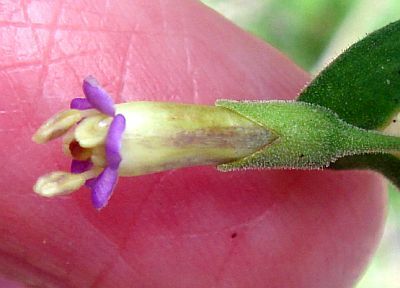 If there are no petals, such as in Chamaesyce micromera, the predominant color of other flower parts are used, such as the glands for that species. 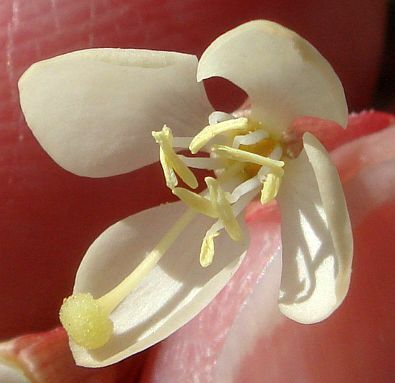 If parts of a flower have different colors, the colors of the petals are used, or the predominant color. 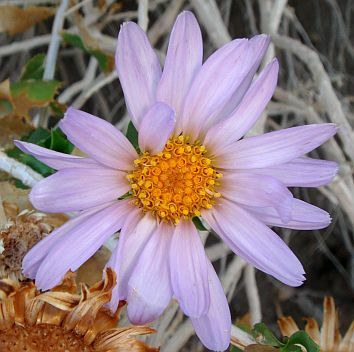 Within each color group, the sunflower family (flowers like daisies, dandelions, or rayless flowers) are grouped together at the end of each color section. 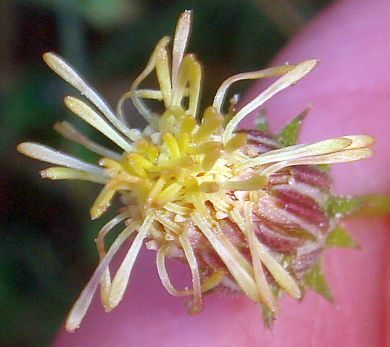 The rayless flowers are grouped first, followed by the daisy-like and dandelion-like flowers. 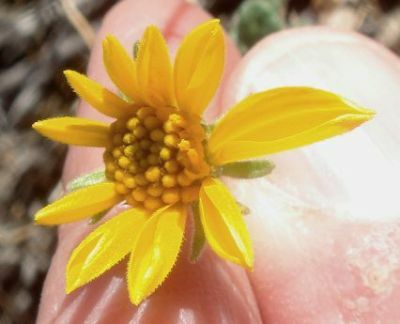 The non-sunflower family flowers are grouped by flower size, with small individual flowers given first (the entire inflorescence may be large, but if the individual flowers are small, they are placed in the small flower category). 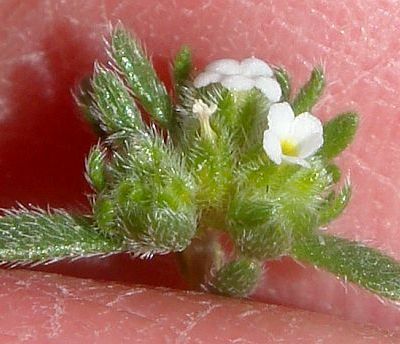 I do not precisely define small here, since flowers range in size gradually from small to large, and the flowers of a single species can vary in size. 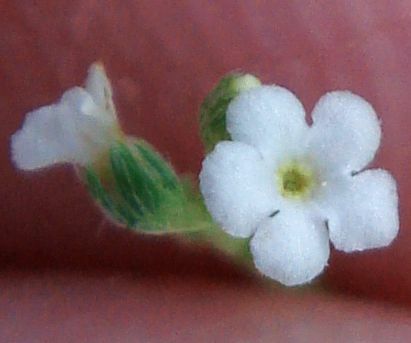 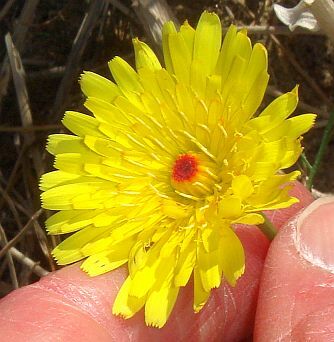 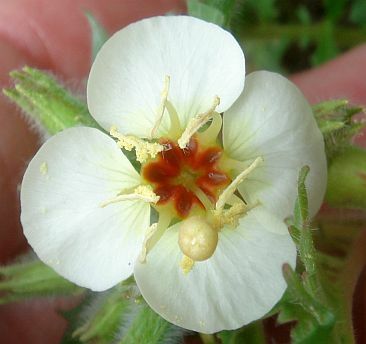 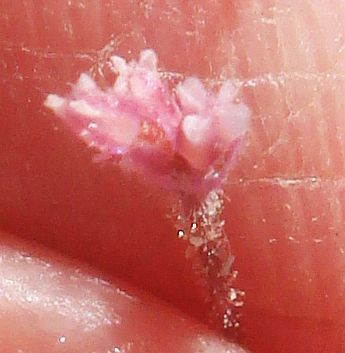 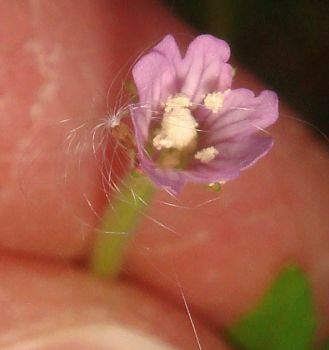 A rough guideline is that I consider a flower small if it is smaller than your thumbnail (~1 cm = ~0.5 inch). 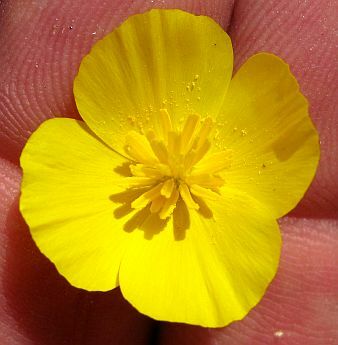 A large flower is half the length of your thumb (~2 cm = ~1 inch). 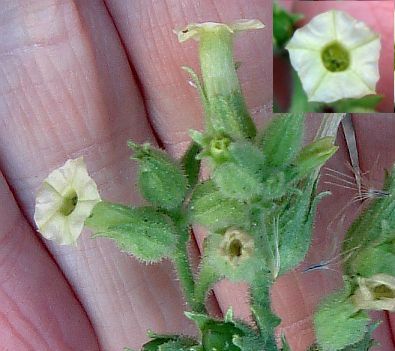 In-between size flowers might be placed in either category here, so check both. 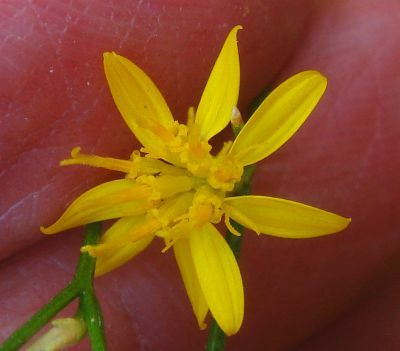 Also, if most of the flowers of a particular genus are large, but the genus also has a few small-flowered species, such as for Lotus, I've kept the small flowers in with their big sisters so that you can see them all together. 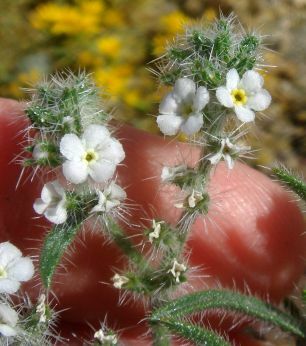 Each separate category is sorted by plant family and then scientific name, which keeps similar-looking flowers together. 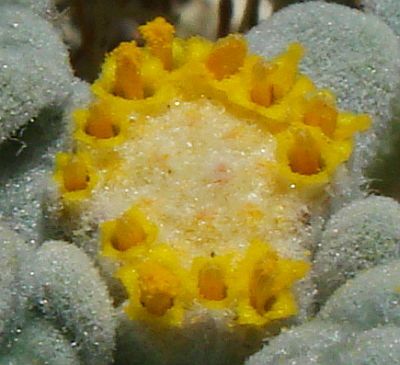 Links to each of the separate categories are given at the top of this page. 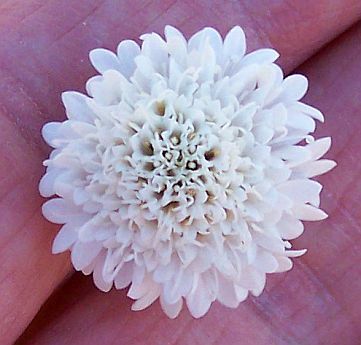 The (Caucasian) flesh-colored objects in some of the pictures are usually my fingers, which can sometimes give an idea of the scale of the picture. 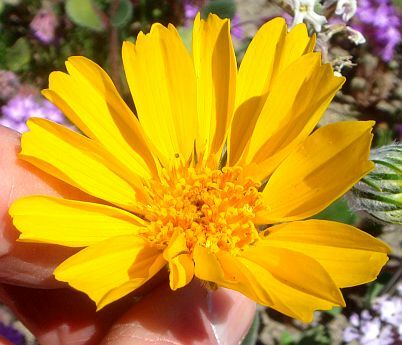 At the close of the 2009-2010 season, I'll split this page into separate pages by flower color, and duplicate some pictures in different color sections to make each one more complete. 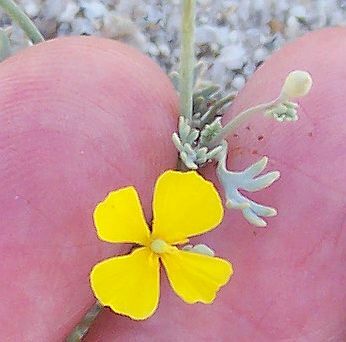 It would be too much work for me to try to do these things while I'm updating this page regularly. 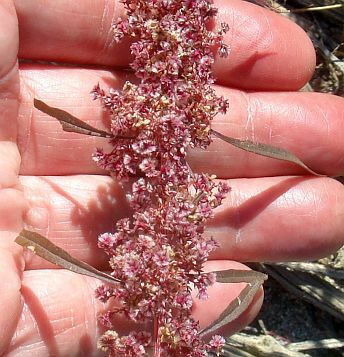 The date of the picture and the location where it was taken. 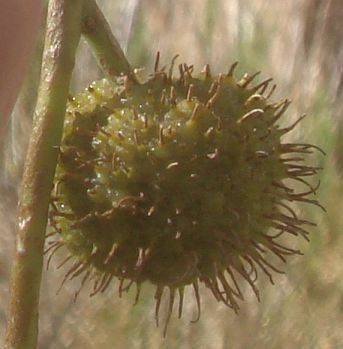 Copyright © 2009-2011 by Tom Chester.